Trees, like all plants, grow best when given appropriate nutrients. Fertilizers are a great way to ensure your trees get all the nutrients they need. This is a guide about the basics of fertilizing trees. Trees rely on sun, rain, and soil nutrients, to support their growth. When left to nature, trees are self-fertilizing, and competition for nutrients from surrounding plants is limited by the availability of these three resources. When planted in our landscapes, however, we rake up leaves and force them to compete for available resources with a wide variety of plants. That's why sometimes trees need a little boost in the form of fertilizer. Soil Deficiencies: Fertilizer is only beneficial to trees if it is needed. The best way to establish this is by having your soil tested. For around $15, a soil test will determine the pH level of your soil (acidity/alkalinity) as well as deficiencies in soil nutrients. Contact your county extension agency for more information. Signs of Deficient Growth: If your tree is showing symptoms of decline (pale leaves, early leaf drop, branch die back, or poor growth) it may be due to low levels of nutrients in the soil. These problems can also indicate problems with insects, disease, or environmental stressors. Overloading soil nutrients only adds additional stress. Don't rush to add fertilizer until other causes are ruled out. Tree Age and Location: Young, actively growing trees perform better when fertilized. Mature, well-established trees, however, do not usually require fertilizing. The growth rate of older trees slows significantly, and their expansive roots systems are normally more than adequate in supplying their nutritional needs. Trees planted within a lawn that is regularly fertilized, or trees growing in naturalized areas (areas not usually mowed or raked) do not need additional fertilizer. A complete (NPK) slow release organic fertilizer is probably the best choice for fertilizing trees, unless a soil test recommends otherwise. 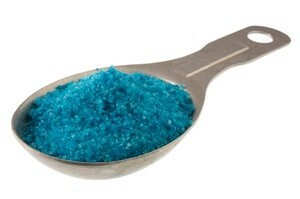 The nitrogen in these fertilizers is released slowly over a long period. Look for fertilizers higher in nitrogen and lower in phosphorus like 16-4-8, 12-6-6, or 12-4-8. Read and follow label directions carefully. Tree fertilizers are usually delivered in one of two ways, on the surface or below the surface. Dry fertilizers can be spread on top of the soil or poured into pre-drilled holes in the ground. They are generally the least expensive and most popular. Fertilizers formed into spikes are quick, easy-to-insert around the drip line, but slightly more expensive. The downside to using them is that they don't deliver the fertilizer as evenly or as efficiently as some of the other options. Root feeders are hand-held soil probes used to distribute dry or water-soluble fertilizers directly into the root zone. They offer the most efficient delivery of nutrients and least amount of run-off. The downside is they require special tools. Trees are most able to absorb nutrients through their roots when the roots are actively growing. Deciduous trees should be fertilized every two to three years, anytime between fall leaf-drop and spring leaf-out, as long as there is adequate moisture available. Evergreens should be fertilized in the spring, but need less frequent fertilizing than deciduous trees. In cold climates, fertilizers should not be applied after early July (or during the last 6 weeks of the growing season) in order to give new root growth time to harden off before winter. Fertilizers should also not be applied during extreme heat or drought. In general, most of a tree's feeder roots are in the top 12 inches of soil. They extend out near the drip line (the outermost branches) and beyond. Deeper roots and roots closest to the tree's trunk serve more for structural support. 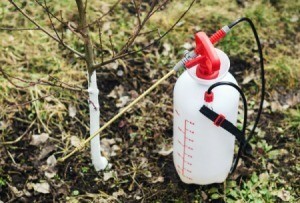 Applying fertilizer to these areas is a waste, because the tree's feeder roots will be unable to access the nutrients. 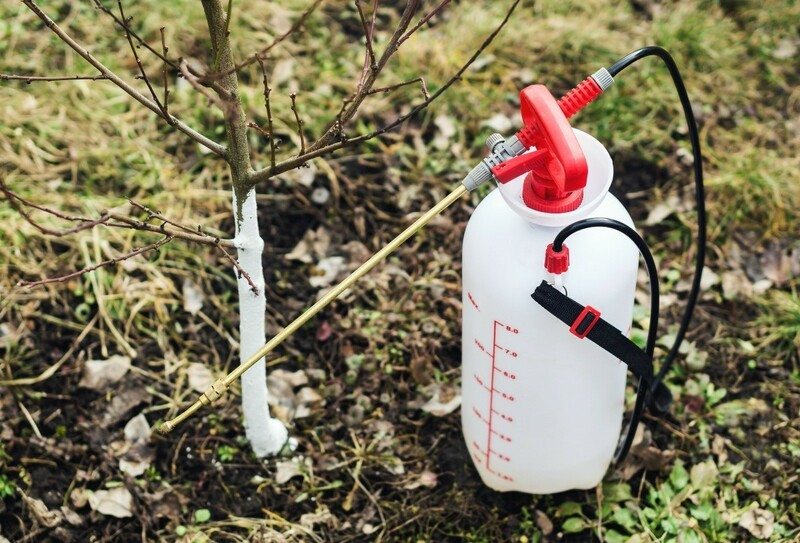 Apply fertilizer to the circular drip line below the canopy, and out half again as far as the total distance from the trunk to the drip line. This is where the feeder roots are. For example, if the total distance from the trunk to the drip line is 6 feet, apply fertilizer to the drip line area plus out an additional 3 feet.